Here's another stylized portrait of an inspiring artist. This is Aleksi Briclot. He is a french artist that creates awesome illustrations that are very intense and dynamic. I have admired his work for a long time. I met him once in Seattle for the Revelations workshop. His personal artbook is coming out in October. Make sure you get that, you won't be disappointed. Anyways, I hope you like it. 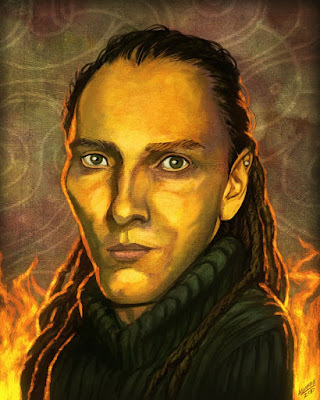 Very NIce portrait of Aleksi !